New Orleans running back Ahmad Antoine is taking his talents to the SWAC, but he wont be in Louisiana. Eric Dooley inherited a great running back last year when he took over the Prairie View A&M job after Willie Simmons left. He may have just added another one from his home town of New Orleans. Ahmad Antoine, a three-star back out of Edna Karr High School, committed to PVAMU last month. He’s expected to sign with PVAMU on Wednesday’s National Letter of Intent Day. The 5’10, 190 pound back had a total of 19 offers according to Rivals. More than a dozen of those offers inclued FBS schools, and many of them Power Five Schools. Kansas, Kentucky, Georgia Tech and Louisiana Tech were among the more notable ones, with schools like Texas State, Southern Miss and others putting bids in as well. Antoine capped off his high school career in December by helping lead Edna Carr to its third-straight title. He will join a Prairie View team that finished 5-6 last season but already has a breakaway threat in Dawonya Tucker, who led the FCS in rushing for the first half of the 2018 season. 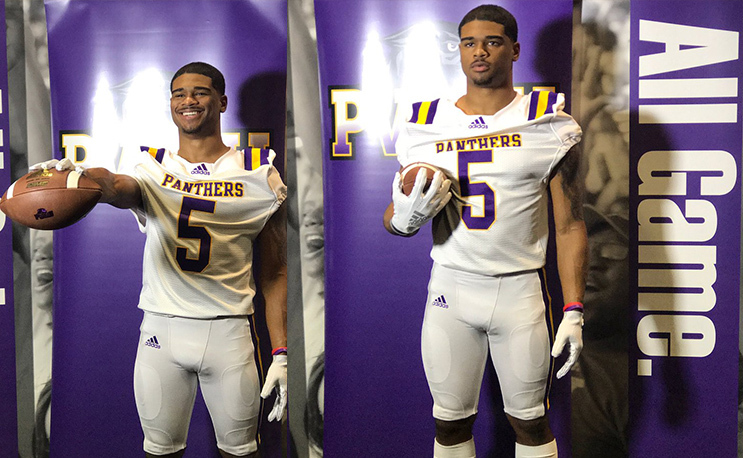 There’s little doubt that Antoine possesses the tools to contribute in the SWAC right away, so it will be interesting to see how involved he will be in Year One at PVAMU.